Bob Slone and Greg (emmett) fulfill the requirements for camping merit badge. They camped out for one week on a farm in Washington County. 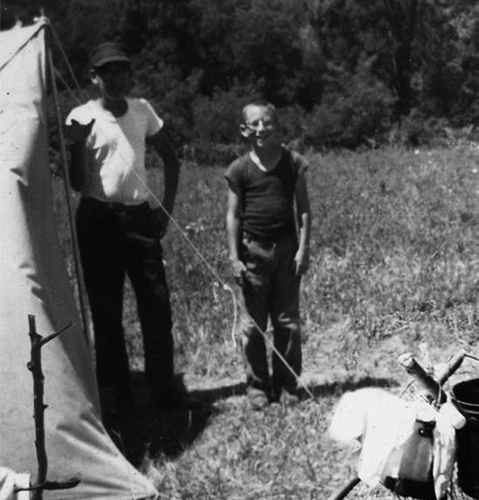 Halsey Harmon (scoutmaster and camping merit badge advisor) checked on the duo. At the 20th '67 class reunion, Bob had suggested that if there were any millionaires in the class that Greg would certainly be in that group. A bit of a miss on that prediction.